Our highest cocoa content yet - extremely strong Belgian dark chocolate, crafted from a blend of African and Caribbean cocoa beans. INtense cocoa taste transitions to coffee-like notes. Extra cocoa butter adds balance and softness on the finish. 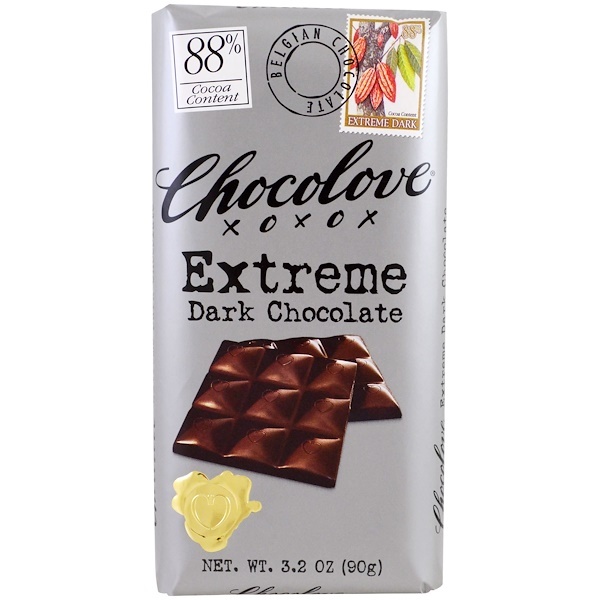 Made especially for the dedicated chocolate enthusiast. A portion of the cocoa in this bar is certified by IMO as For Life which means it was farmed in a socially responsible and ethical manner. Cocoa liquor*, sugar, cocoa butter*, soy lecithin, vanilla. 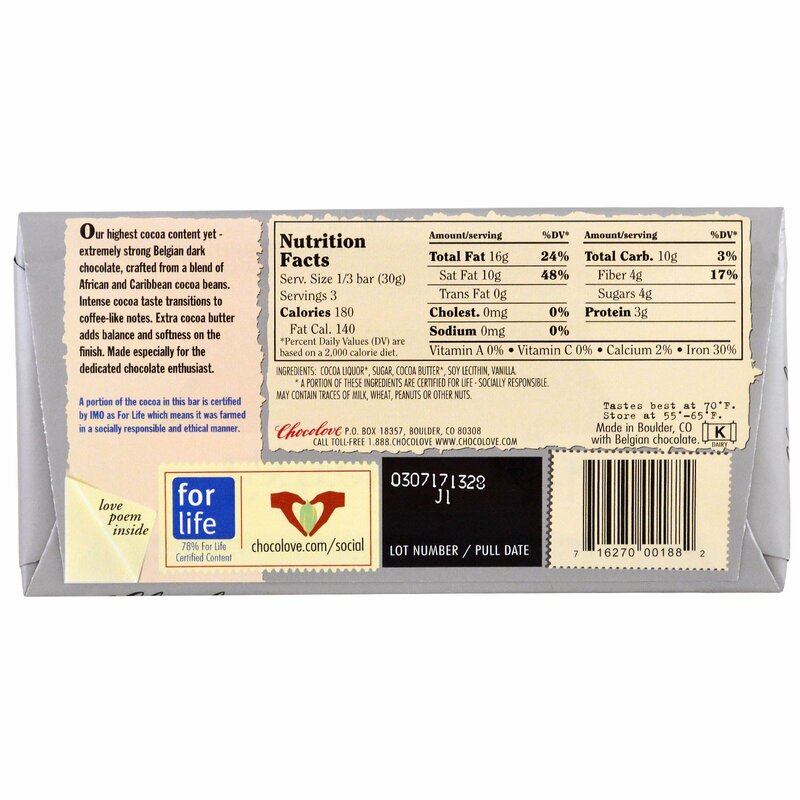 *A Portion of These Ingredients are Certified For Life - Socially Responsible. May contain traces of milk, wheat, peanuts or other nuts. Tastes best at 70°F. Store at 55°F-65°F.